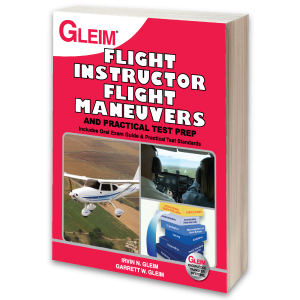 The Gleim Flight Instructor Refresher Course (FIRC) is an FAA-approved online course (the first of its kind) that enables flight instructors to renew their CFI certificates as prescribed by 14 CFR Sec. 61.197. 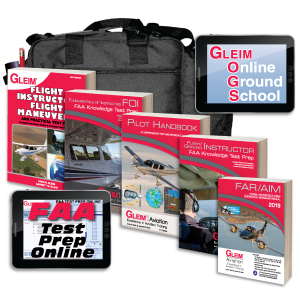 The Gleim FIRC has been completely rewritten with new material and resources for CFIs to enhance their instruction while training safer pilots. Each of the study units in the course consists of true/false study questions; a detailed, illustrated knowledge transfer outline; and a final multiple-choice test. This performance-based course allows you to study at your own pace and on a schedule convenient to you–no travel required. 11 Essential study units. 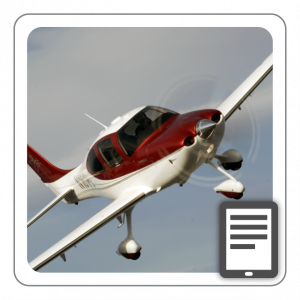 Learn the core material per FAA guidelines. 9 Elective study units to customize your course. Choose any 5 electives to study the topics you want to learn more about. New user interface. 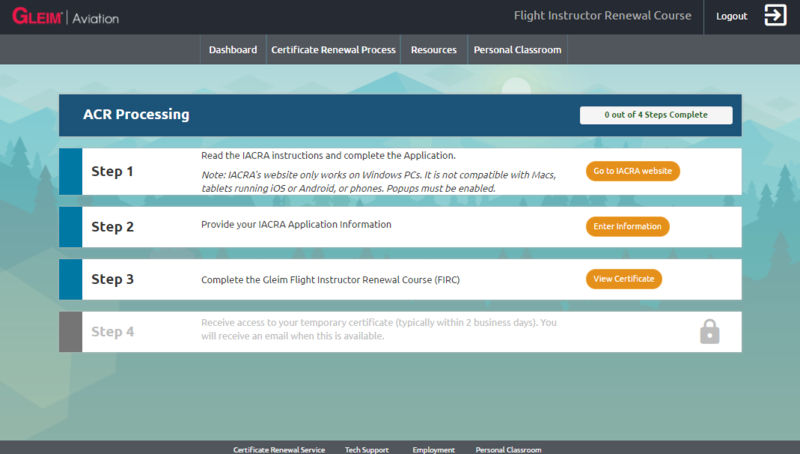 All new dashboard makes it easy to navigate the course, track your progress, and renew your certificate. New materials to help you stay current and create safer pilots. 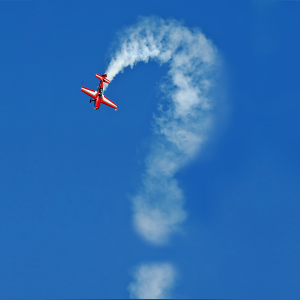 Know exactly what is new or what has changed in aviation and flight training. New ACR minder. Know which tasks you need to complete for paperless or mail-in certificate renewal. Free course resources. 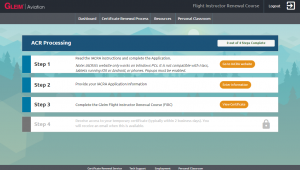 Access more than 70 training and support materials anytime—everything from ACs to WAAS facts! Free TSA training. 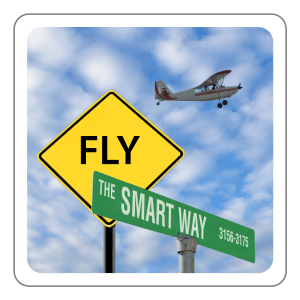 Meet the initial or annual recurrent FSSA training requirements for instructors and flight school employees. CFIs say Gleim helps train the world’s best pilots! Thousands of professional instructors continue to renew with Gleim every time. 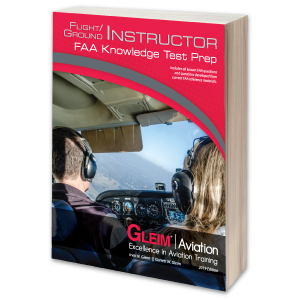 The Gleim Flight Instructor Refresher Course (FIRC) is an FAA-approved online course (the first of its kind) that enables flight instructors to renew their CFI certificates as prescribed by 14 CFR Sec. 61.197. Each of the study units in the course consists of true/false study questions; a detailed, illustrated knowledge transfer outline; and a final multiple-choice test. This performance-based course allows you to study at your own pace and on a schedule convenient to you–no travel required. You can even save the Gleim knowledge transfer outlines for reference anytime! 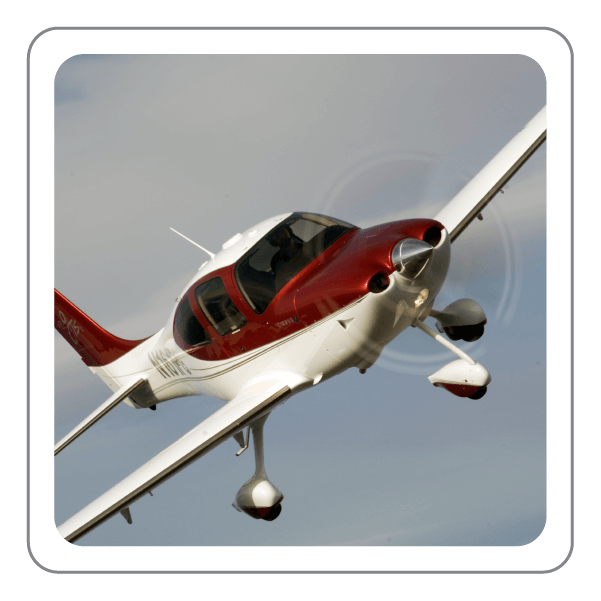 This course has been evaluated and approved by the Federal Aviation Administration as meeting all of the requirements for Flight Instructor Renewal. Please see our Letter of Approval for details. The optional Paperless or Mail-in Airmen Certification Renewal Service, makes processing all required documents easy and convenient, saving you a trip to the FSDO. With flexible renewal options, you choose your renewal method and Gleim handles the rest. We issue a temporary certificate directly to you! Customize your course with electives. Learn the material you want to learn while becoming a more effective instructor. Convenient online format allows you to study where and when you want–no need to travel. Need support? Our team of experienced instructors is ready to help! Structured, interactive format keeps you involved and learning. Most-trusted and flexible online CFI renewal available. Make sure that your computer meets our minimum system requirements. This program also works on mobile devices, including the iPad, iPhone, iPod Touch, Android, Windows Phone 6 & 7, Blackberry, etc. Internet connection required. Note: Course access expires after 24 months or 90 days after course completion, whichever comes first. 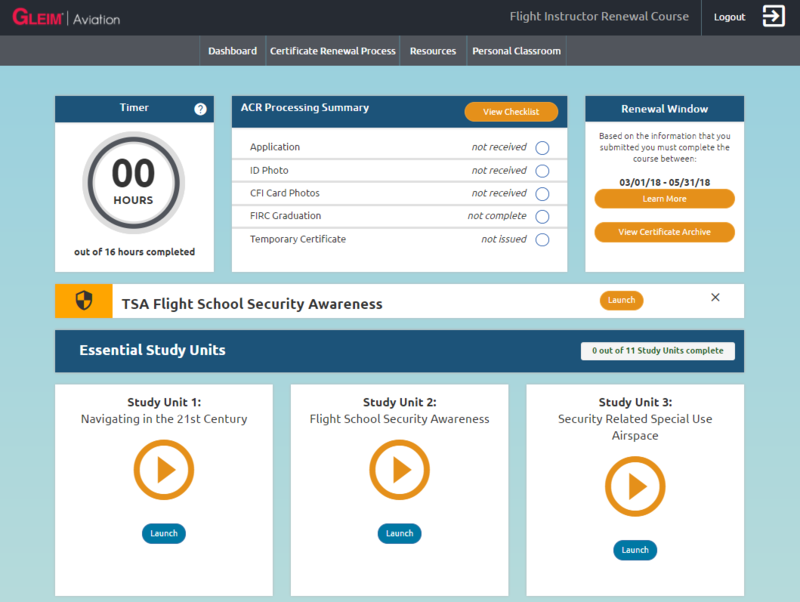 Access to the FSSA (TSA) study unit, course resources, and graduation certificates does not expire.